We’ve got lots of inventory at Staas; just about every part you’d ever need to do a plumbing job. That’s how we do our repairs faster when we’re on-site. If it’s not on the truck, we just go back to the office. But, if you’re a do it yourselfer, we invite you to come on by. We’ve got your part or we can help you find what you’re looking for. 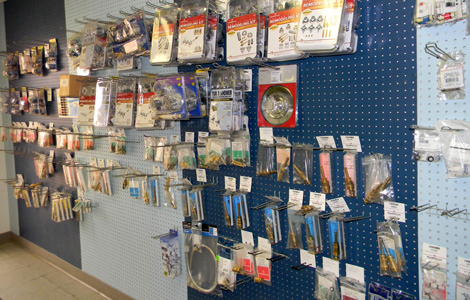 We stock faucets, fixtures, old-school parts and a ton of accessories and we’ll help you with your project. We’re great at answering your questions and there’s always someone behind the counter to help. In Waco we're at 333 Lake Air Drive. In Temple we're at 101 West Avenue M.